It’s always so exciting to see our couples featured on blogs and in magazines. 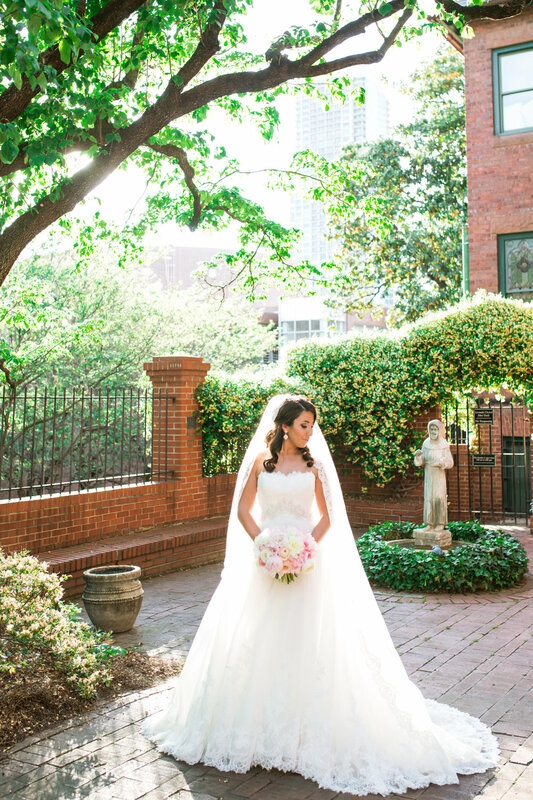 I’m so thrilled to see Sarah + Andrew’s gorgeous spring wedding at Foundations For The Carolinas featured on Grey Likes Weddings today! 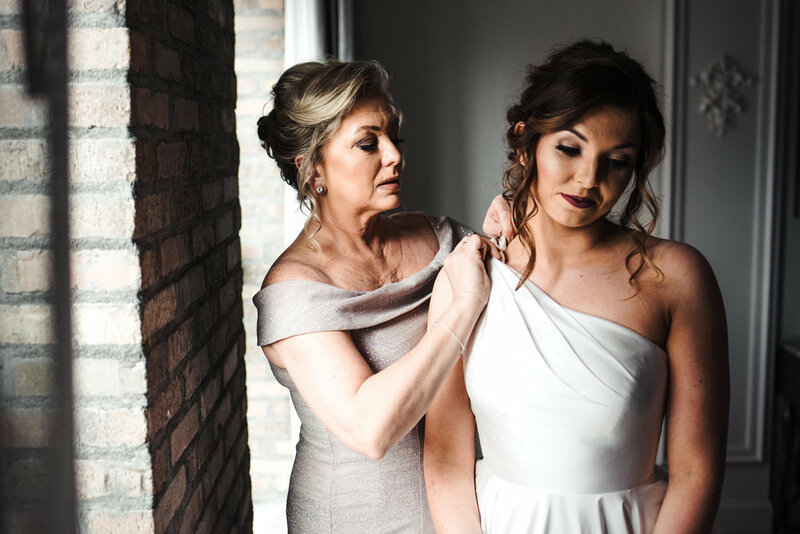 Working with Sarah and her mom was so much fun. 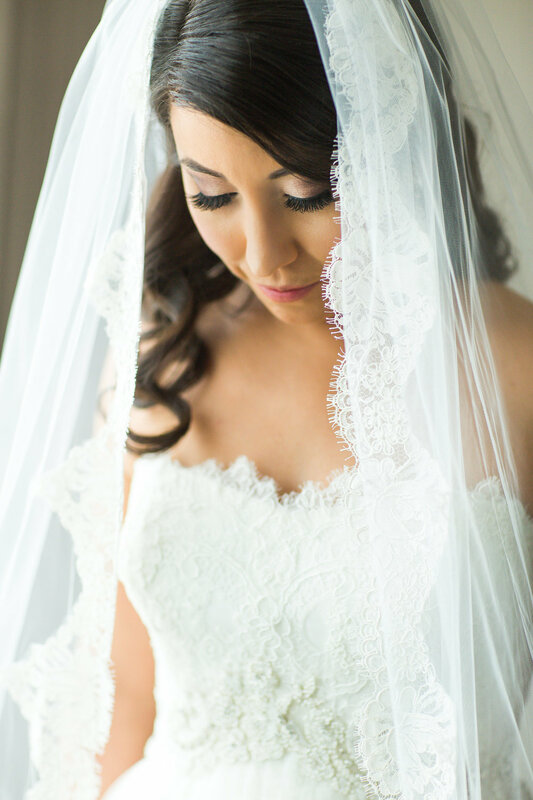 Sarah is a bride who knew what she wanted, and I was so excited to bring her vision to life! 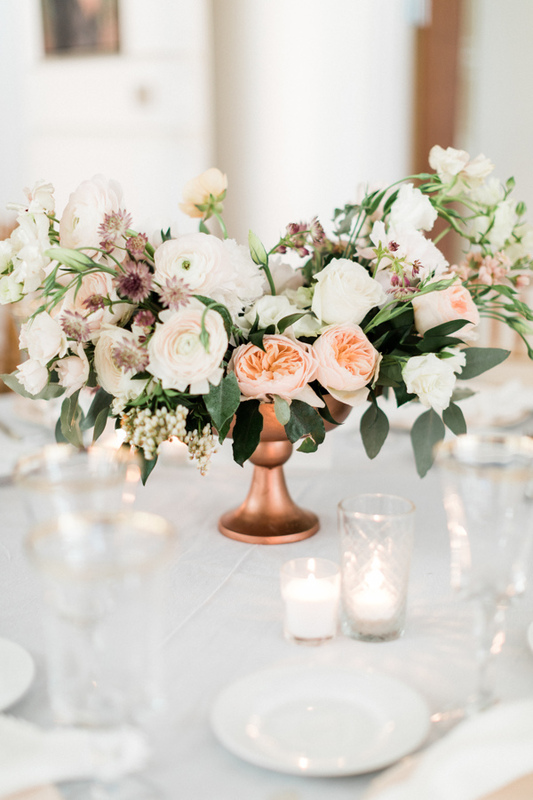 Our beautiful bride chose a spring-inspired color palette of dusty blue, peach, blush, and ivory, with accents of rose gold. 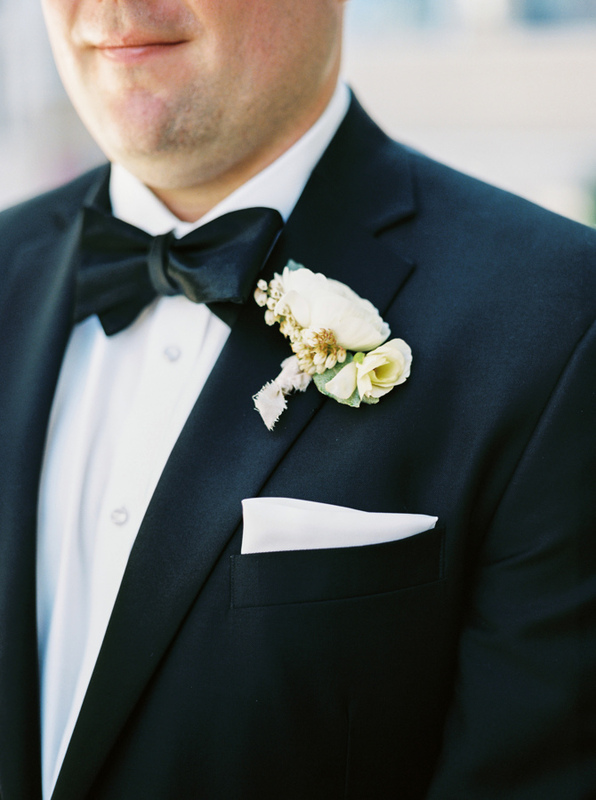 The colors reflect the bride and grooms personalities and style - elegant and classic, yet still modern and fun! 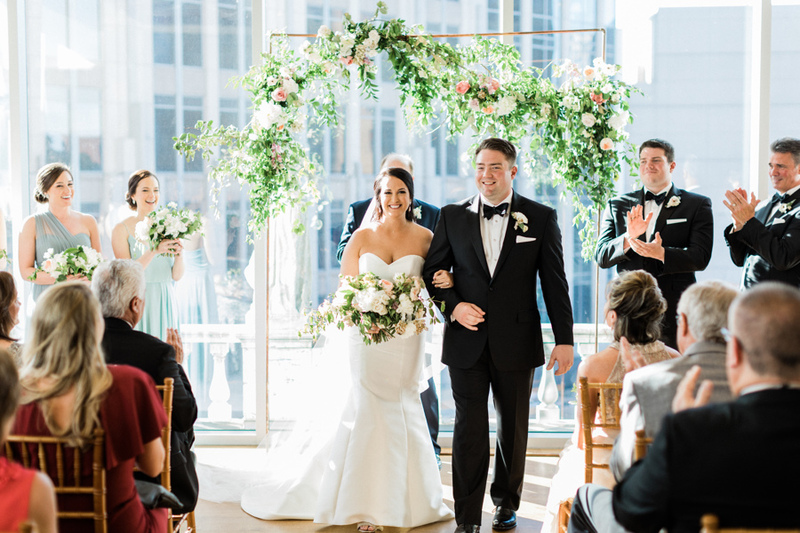 She and Andrew chose the Foundation For The Carolinas as their venue because of the gorgeous views of Uptown Charlotte. Family is important to Sarah and Andrew. 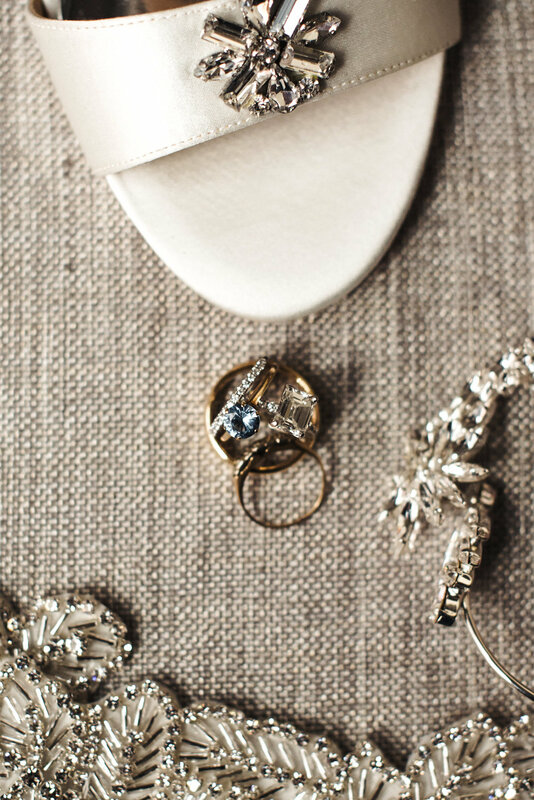 And while there were many thoughtful details throughout their wedding, one of Sarah's favorite personal details involved her wedding day jewelry - a sapphire and diamond ring that belonged to my grandmother, borrowed from her mom, as her something borrowed, something blue and something old. 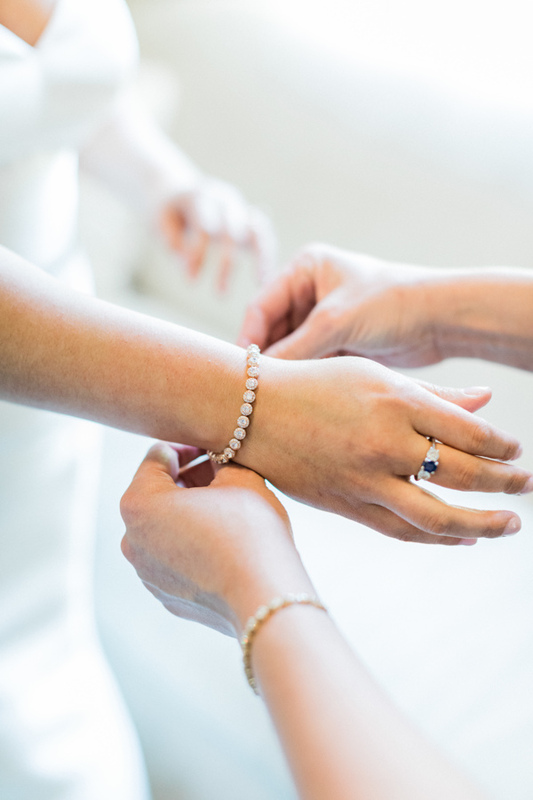 As her something new, she wore a rose gold bracelet given to her by her best friend and Maid of Honor. After the wedding, I asked Sarah what was her favorite moment of the day was - and she said, the first look. 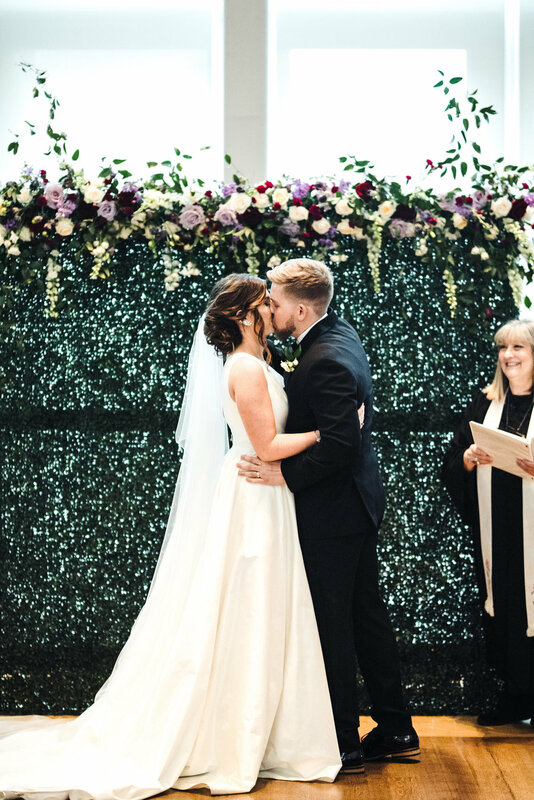 "We debated even doing a first look because we weren't sure if it would take some of the magic away from seeing each other when I walked down the aisle," she said. "But I am so, so glad we did this! 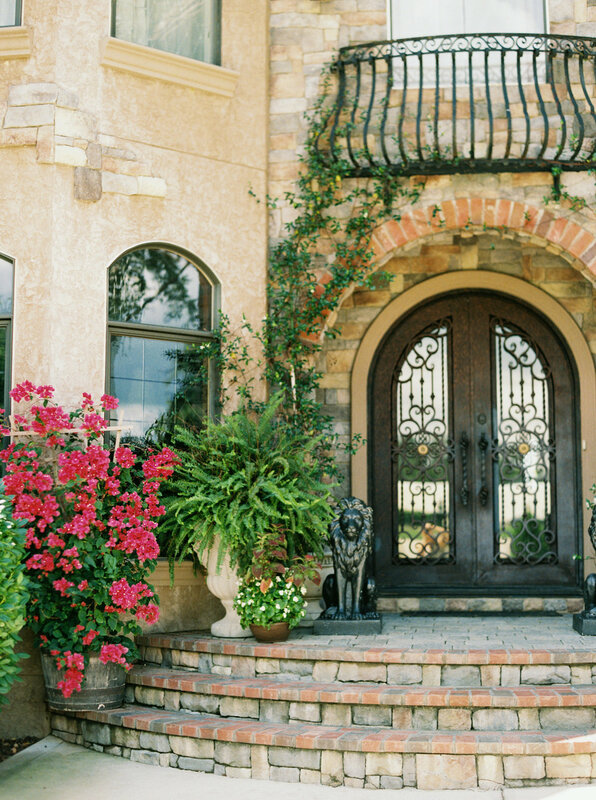 Having the first look really calmed my nerves and grounded me for the day." Sarah goes on to say that not rushing through portraits or family photos, especially with her sister, was important." And one of my favorite memories was the room reveal with Sarah. We had been working together for about 14 months to plan and design her wedding. It’s always exciting to do a room reveal with my couples - but especially when we’ve been dreaming of this day for so long! To see Sarah and Andrew’s vision come to life was just the best feeling! I love this, too, and just had to share …. 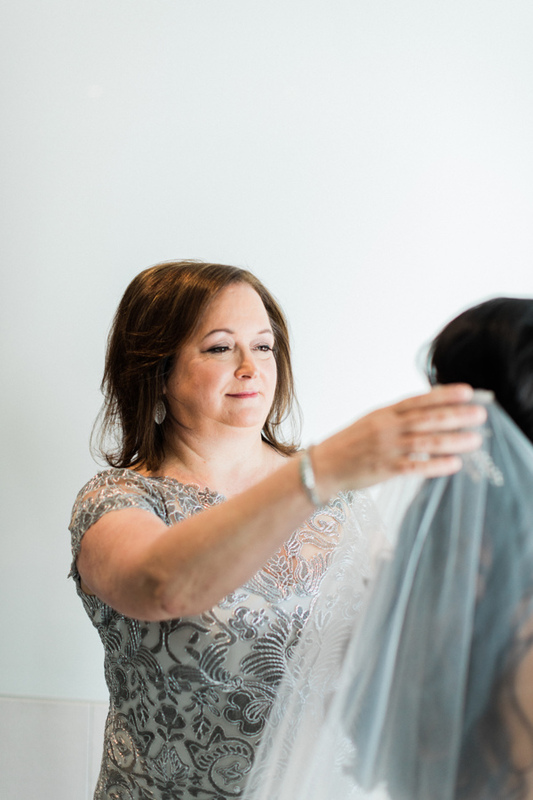 I had asked Sarah to reflect on her wedding day, and she says, "I actually debated on having a smaller wedding or having a bigger wedding because it is honestly a lot of money to spend on one day. However, after having the wedding I would never have a smaller wedding. There is truly something to be said about having all of your family and best friends in one room to celebrate you. The day did go by fast, but the memories we made we will have forever. 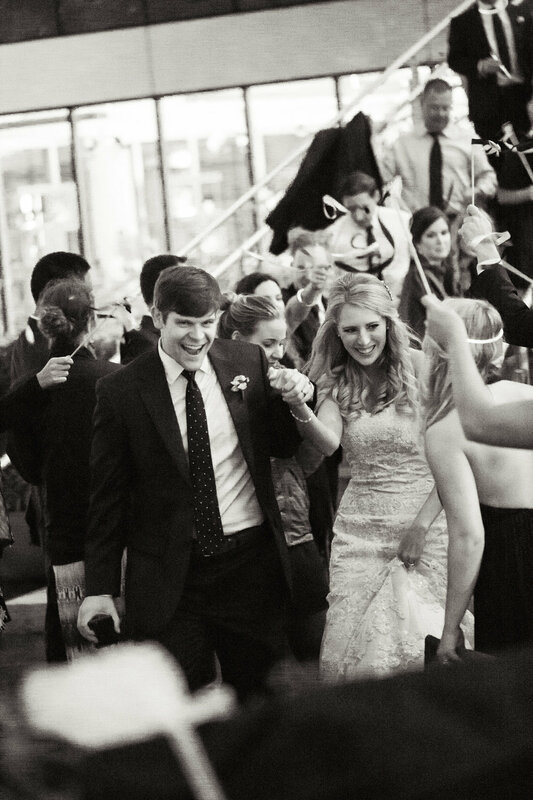 Both of us look back and remember how much fun we had, and every time we run into someone that was there they always bring up how amazing our wedding was and it makes us so happy!" Sarah and Andrew (and Lois! ), working with you two was a dream! 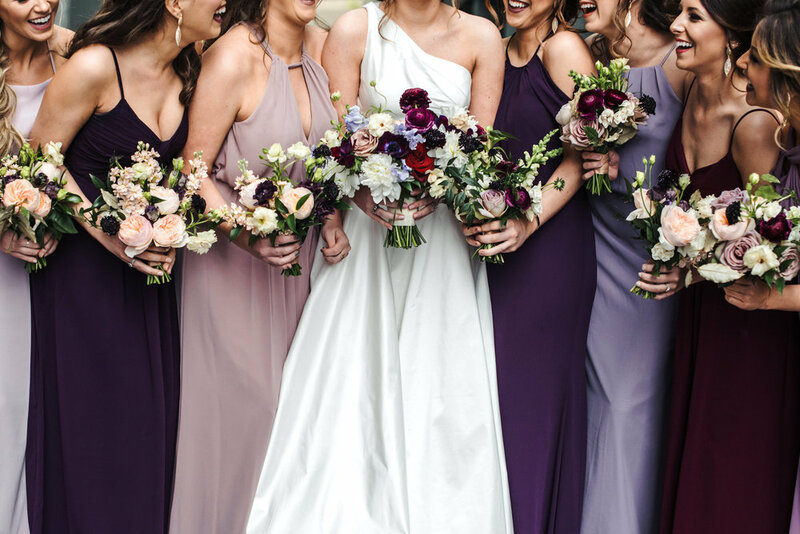 I’m so honored to have been a part of your wedding, and I’m over the moon to finally share the beautiful photos from your perfect day! Thanks to our vendor team for all their talent and hard work! Jessie + Austin met in high school, but never dated. It took a few years of persistence from Austin, with Jessie "brutally shutting him down" as she says, for her to agree to a date with Austin. It was after that first date the summer of their freshman year of college that Jessie fell head over heels for Austin! And after several months of flirting and long distance (don't worry - Austin made her sweat a bit. Unknowingly, of course! ), they made their relationship official. 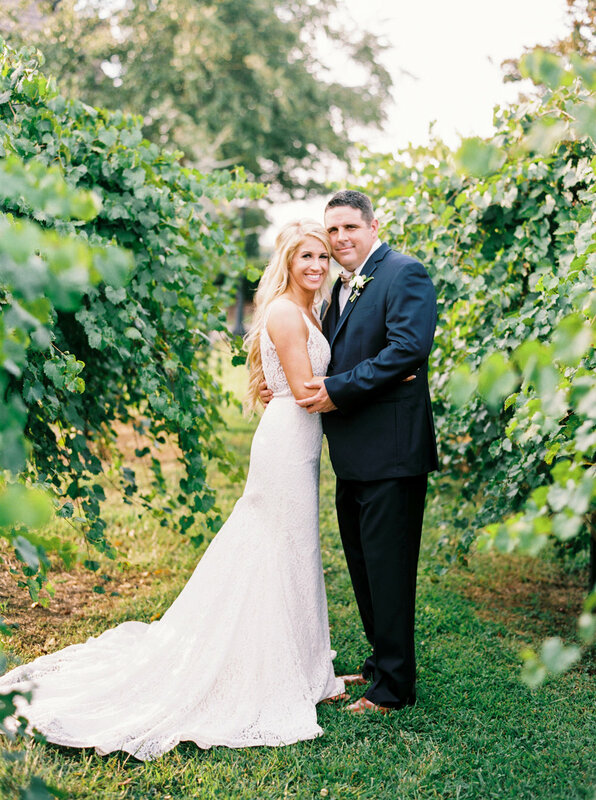 You'll never meet a couple more madly in love or incredibly down to Earth as Jessie + Austin. They are the life of the party and love to have fun in every situation. Their connection is unmistakeable! 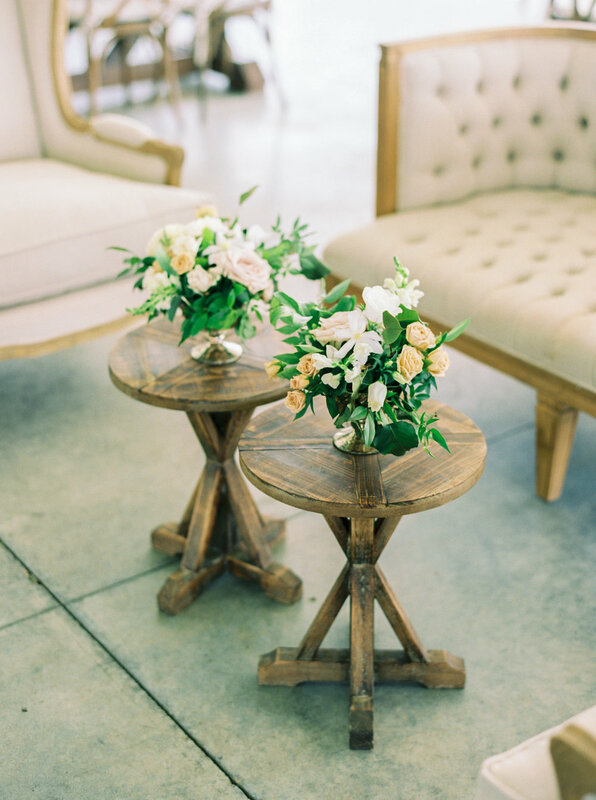 Just wait until you see their gorgeous images from Anchor & Veil Photography. They never shy away from adventure and new experiences. 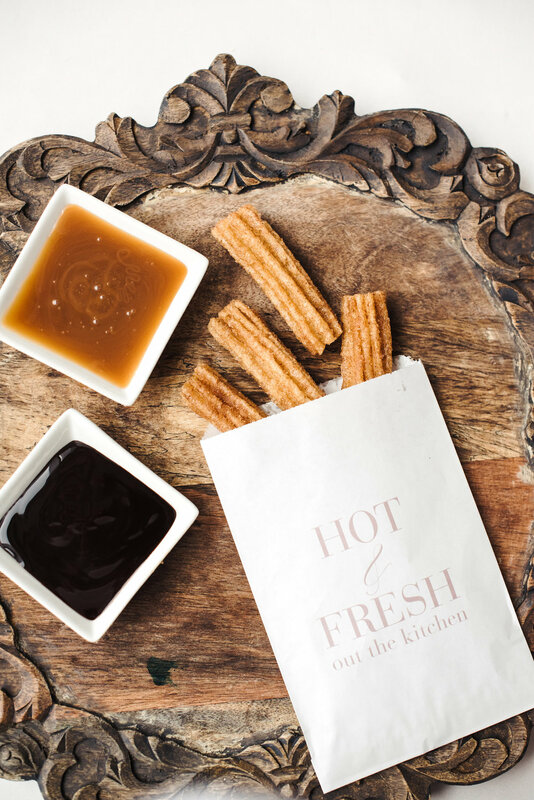 Trying new restaurants and recipes and exploring new places is one of their favorite things to do together. But as much fun as going out can be, they also love lay low by make a pallet on the floor and watch moves with some wine in tow. Jessie came to me wanting to create a unique experience for her loved ones. 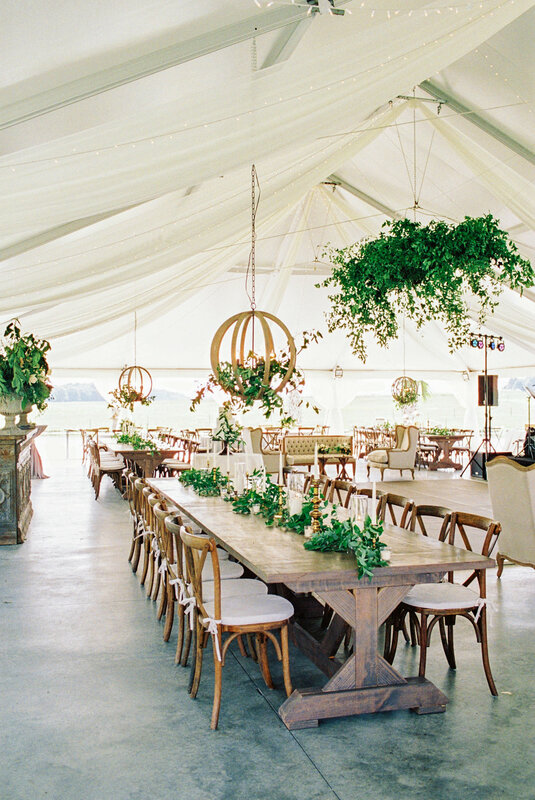 She said she wanted it to feel like one big party, with an amazing atmosphere, great food and lots of dancing - not stuffy or stiff, or too formal. 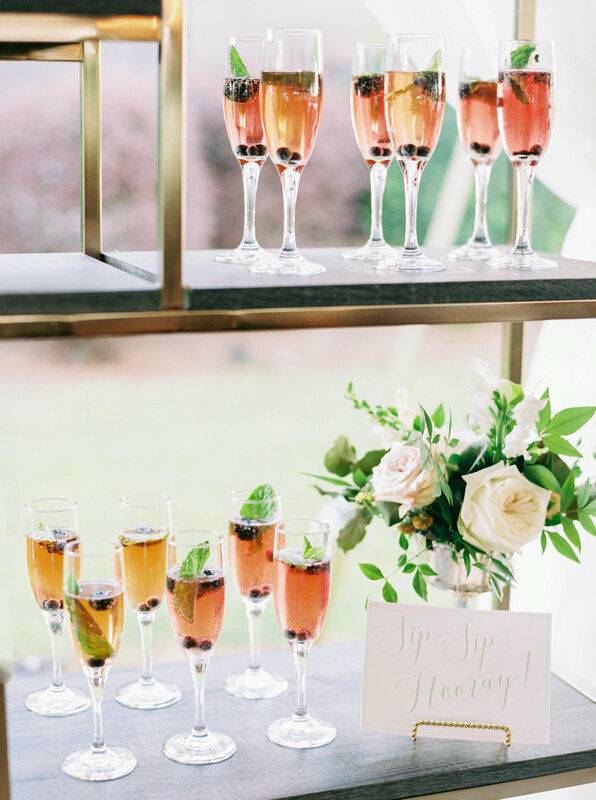 Our sweet bride had a vision, and she was drawing inspiration from many different color palettes and styles - from whimsical and classic to sweet and modern. She didn't quite know where to begin and how to sort through everything. 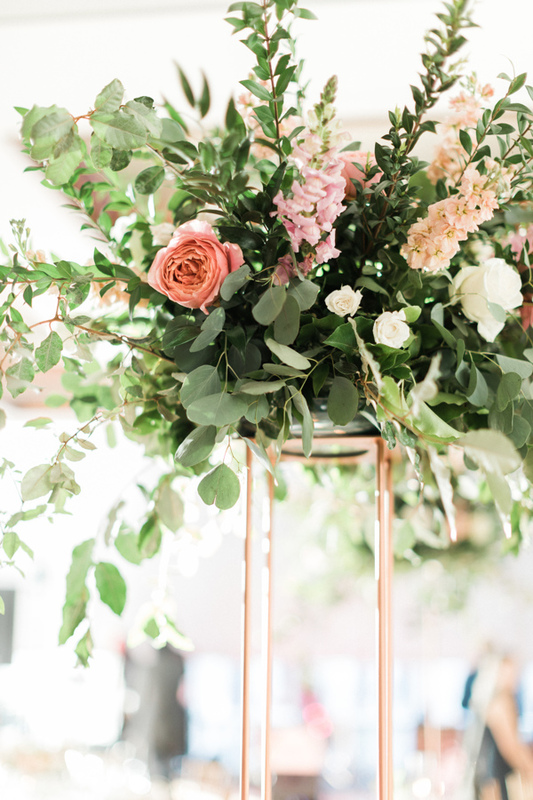 As we when through my design process, we were able to get to the heart of her vision and create a cohesive design that captured our bride's gorgeous style. The end result felt fun, eclectic and most importantly, different - and that is exactly what Jessie wanted! 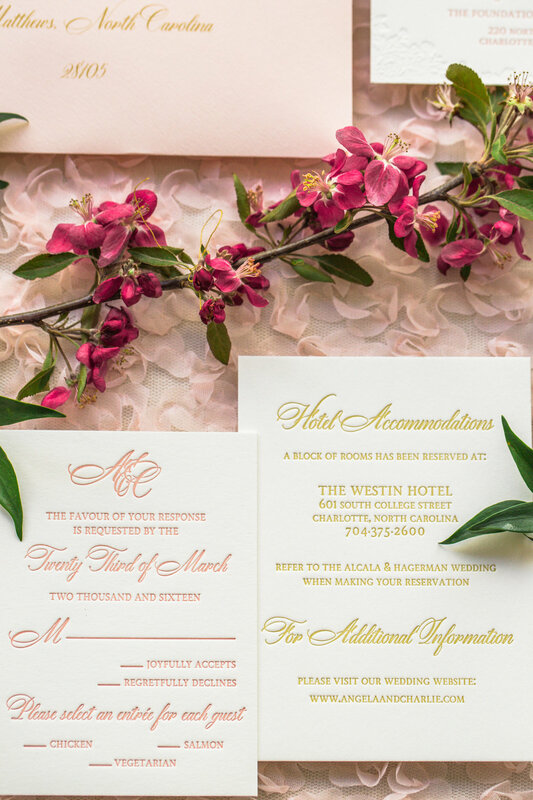 We infused a vibrant color palette into our design, using a range of purples, burgundy, pinks, creams, and pale yellow with abundant amounts of greenery for an ultra-romantic touch. 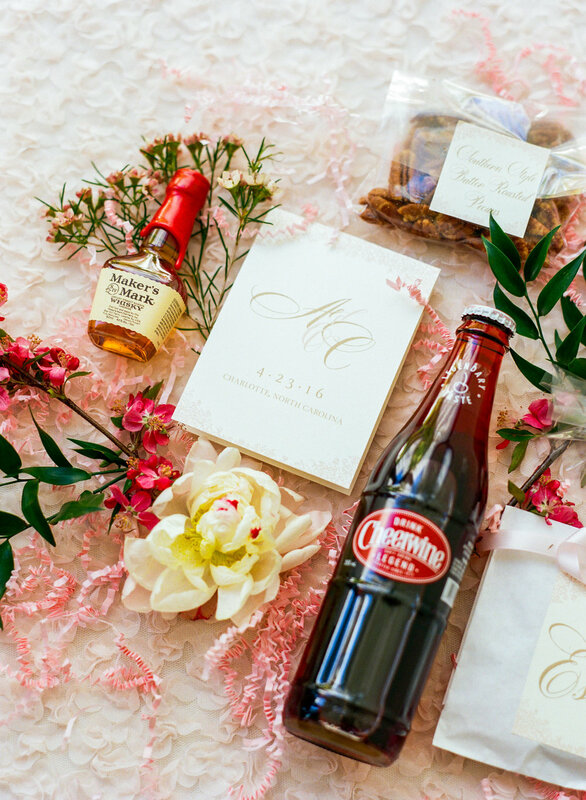 It is traditional with a twist, as we mixed aesthetics to create a detailed and color-filled day for this sweet-as-can-be couple! 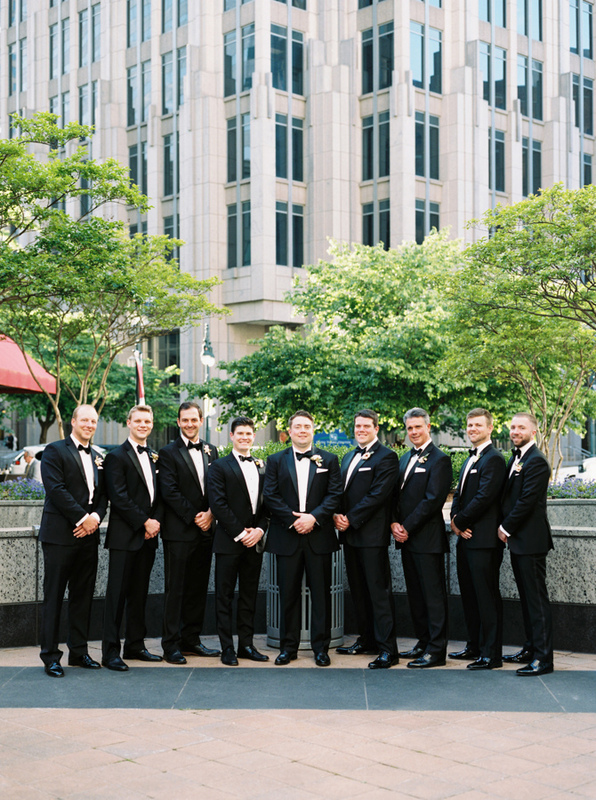 Huge thanks to our talented team of vendors who made this day so perfect for Jessie + Austin! 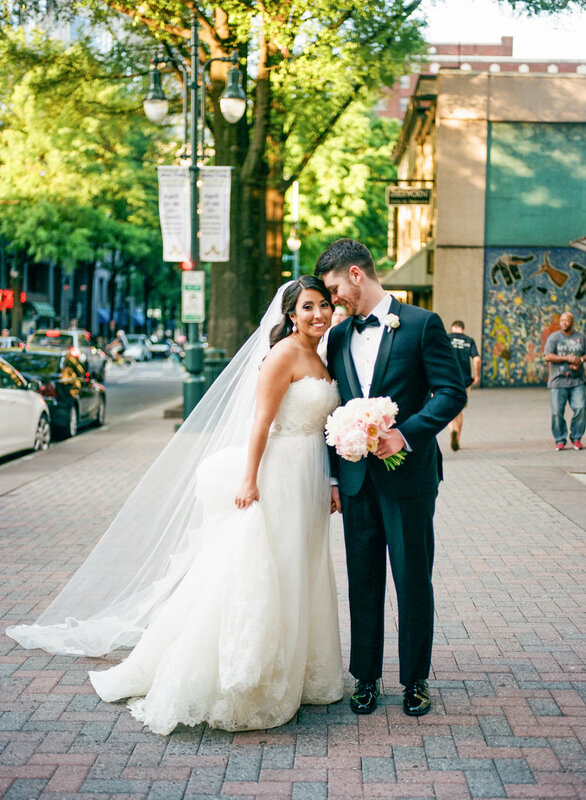 Jessie + Austin, you two are such a joy to know! I loved every second of our time planning together and your perfect wedding day. Thank you for trusting myself and my team to execute your vision! Love you both! 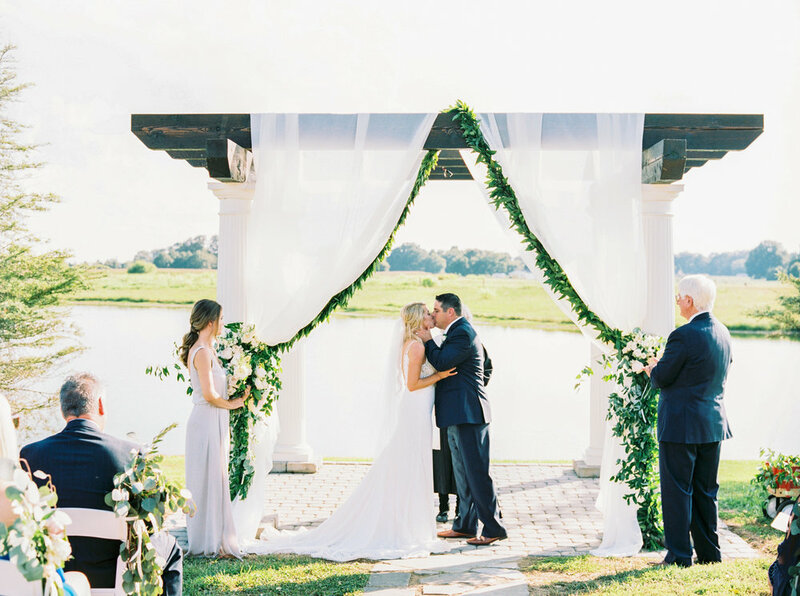 This gorgeous fall wedding at Hawkesdene House in Andrews, North Carolina was the perfect way to close out 2016! At the peek of the fall season, surrounded by beautiful colors of nature, Jessica + Ryan celebrated amongst family and friends. 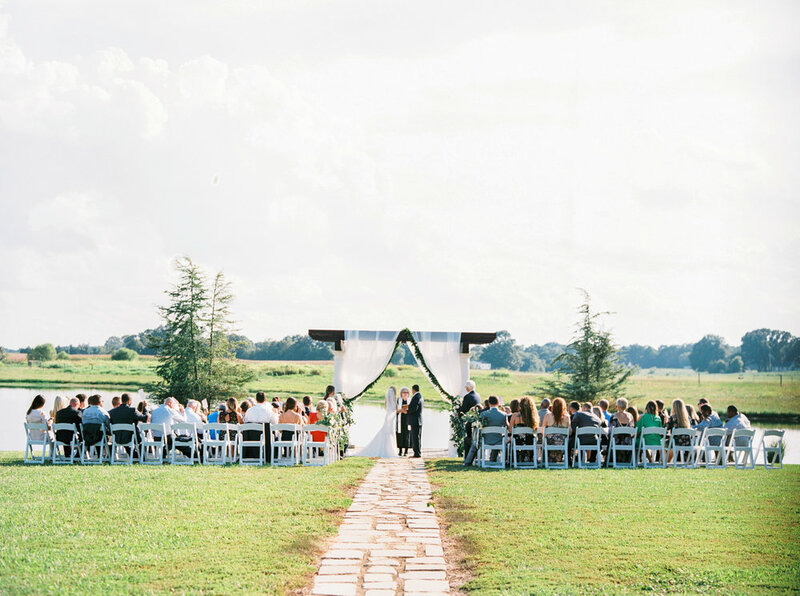 Jessica's inspiration behind her wedding was the natural scenery of the North Carolina Mountains. 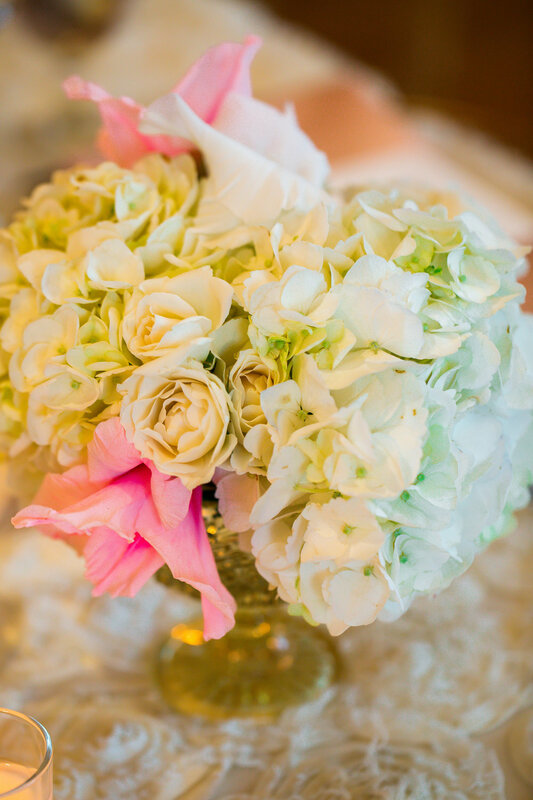 We incorporated different types of lush greenery among the centerpieces. With rich, vibrant reds and lots of organic textures, we created an elegant evening with an organic inspiration in the mountains. Jessica + Ryan met thanks to their moms, who were already good friends, and had arranged for Ryan to show Jessica around California, since it was her first time visiting. It was crazy how well their plan worked! The pair had so much in common, and flash forward 8 years later - they finally got married! 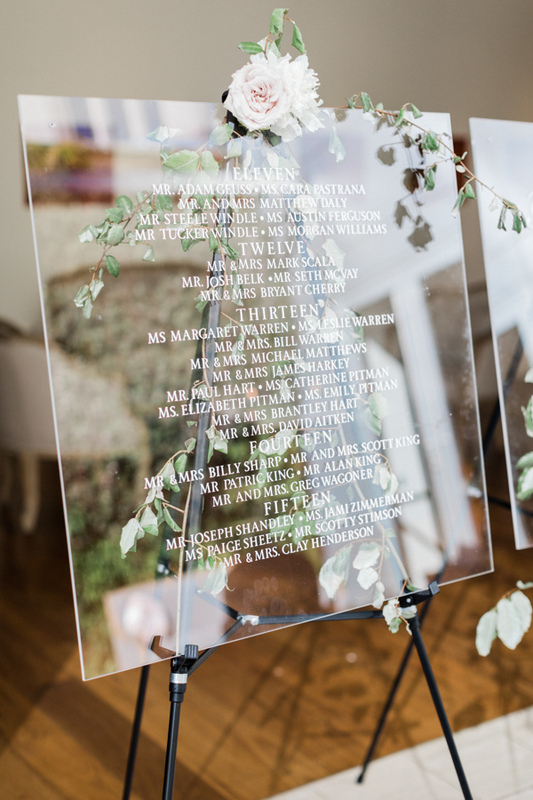 Since both their families live all over the country, the couple choose the lovely Hawkesdene House, about 2 hours west of Asheville, for their destination wedding. Our bride said that whenever the couple would visit the mountains, they always leave with such a sense of peace and happiness after getting away from the hustle and bustle of life. So, they wanted their guests to have a similar experience and feel leaving refreshed after a fun weekend away! I think their plan worked because it was one heck of a wedding weekend. 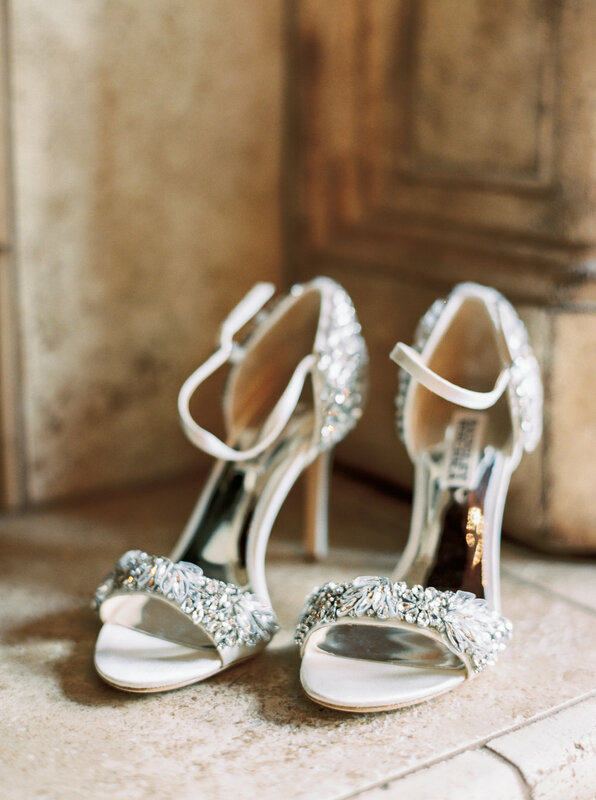 I am so excited to share photos from Jessica + Ryan's amazing wedding day! 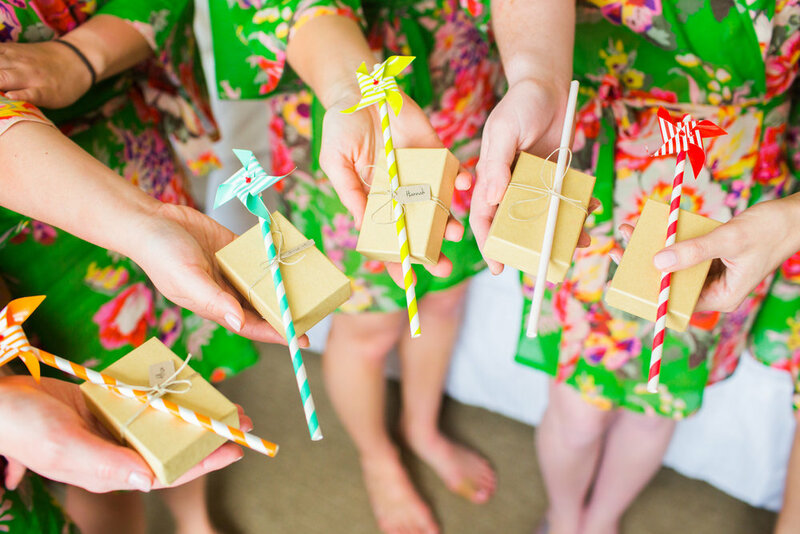 But first, a huge thank you to our fabulous team of talented vendors who helped create a magical day for our bride + groom. 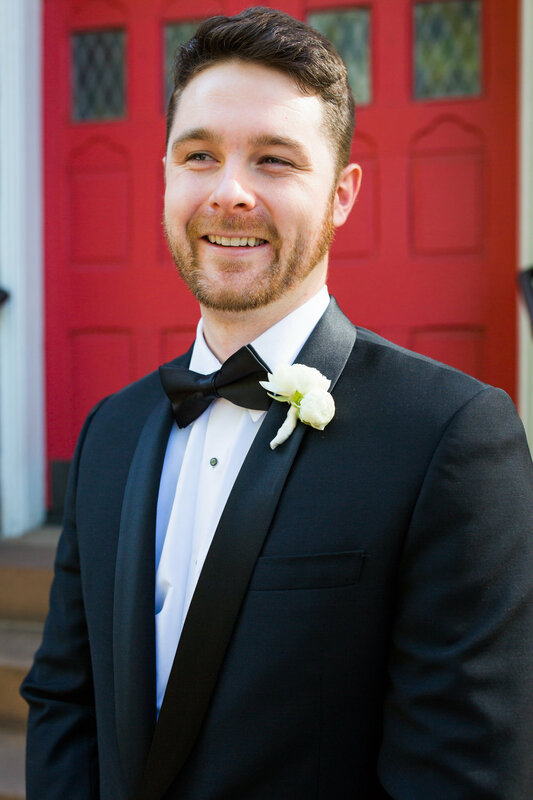 I truly believe that wedding videography is such a worthwhile investment. 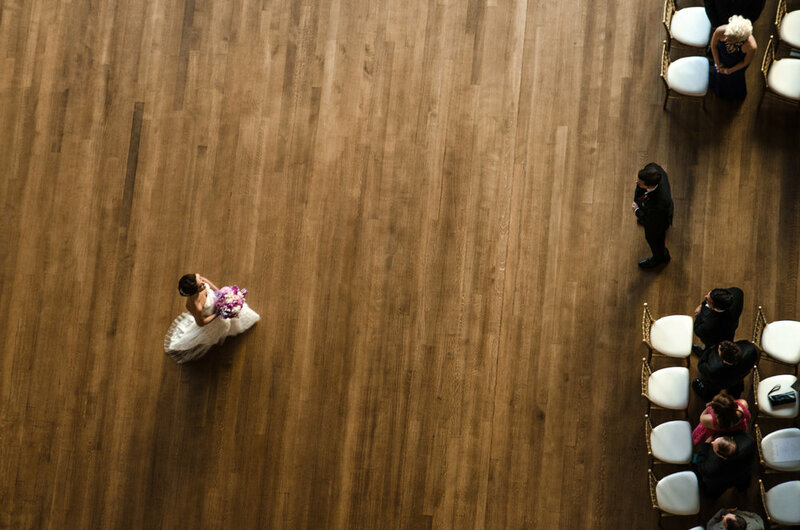 While your photographer will capture your wedding day memories, a videographer will capture it in a way that photography just can't. So many nuances can be captured on video, not to mention your loved ones voices and mannerisms... and maybe some sweet dance moves? These are fleeting moments, never able to be repeated, are now frozen in time. 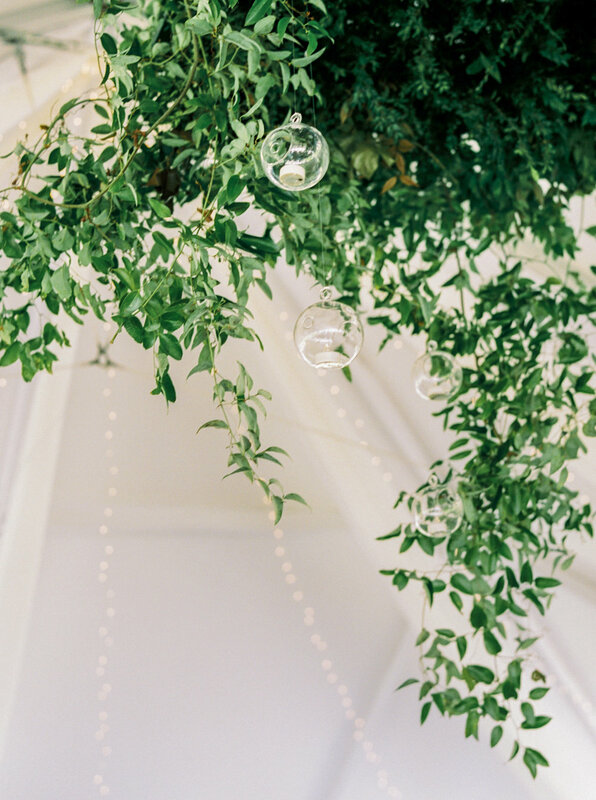 It's a great way to relive your wedding day over and over again long after the wedding high has passed. 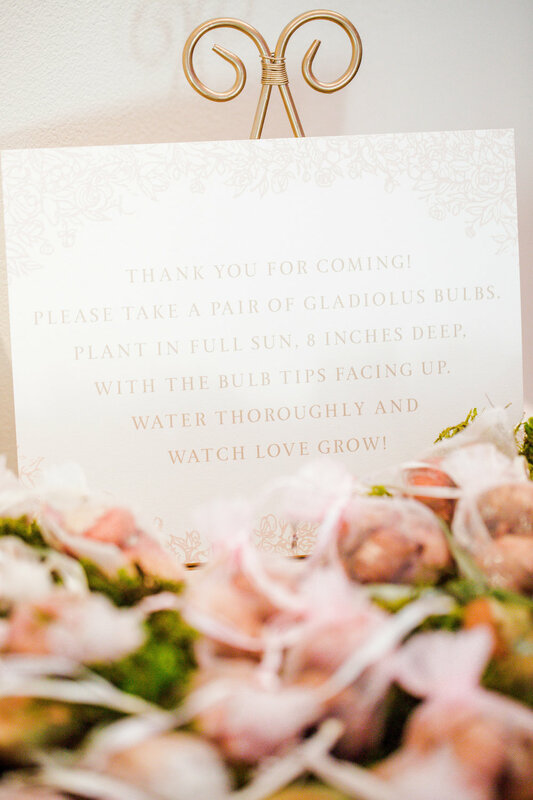 Jessica + Ryan, thank you so much for allowing The Graceful Host to be a part of your destination wedding celebration! You two were such a dream and a joy to work with, and the love you have for each other is captivating. I wish you a lifetime of happiness together and memories, just as sweet as your wedding day. This couple couldn't be any sweeter. And there is no doubt that they are perfectly matched for each other! Which makes the story of how they met all the better. 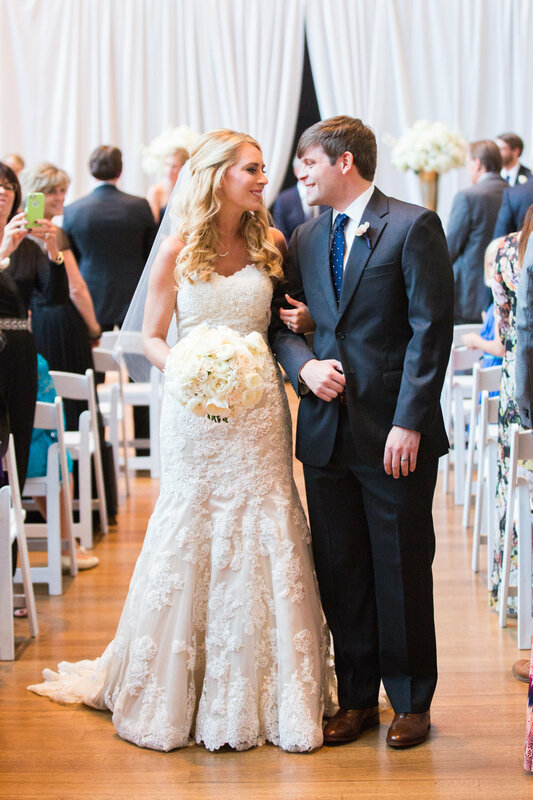 Angela + Charlie met during their first year of law school at UNC Chapel Hill. But they didn't exactly hit it off, Angela notes. Angela didn't care for Charlie after their first meeting, when a mutual friend introduced them. Fast forward a year later, after a few study sessions, Charlie finally got the courage to ask Angela out. And Angela accepted after getting to know Charlie a bit better. After their first date, they both felt the spark ...and the rest was history, as they say! 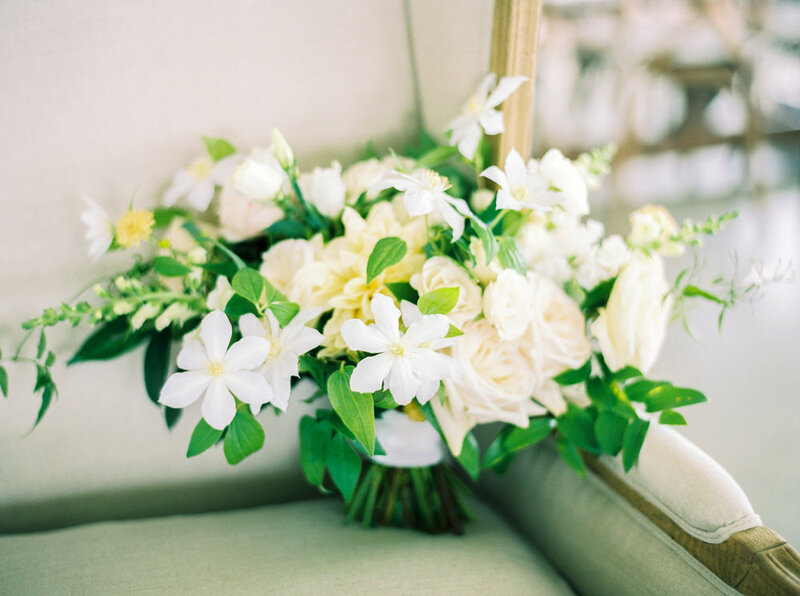 Their April wedding was the epitome of a spring wedding. 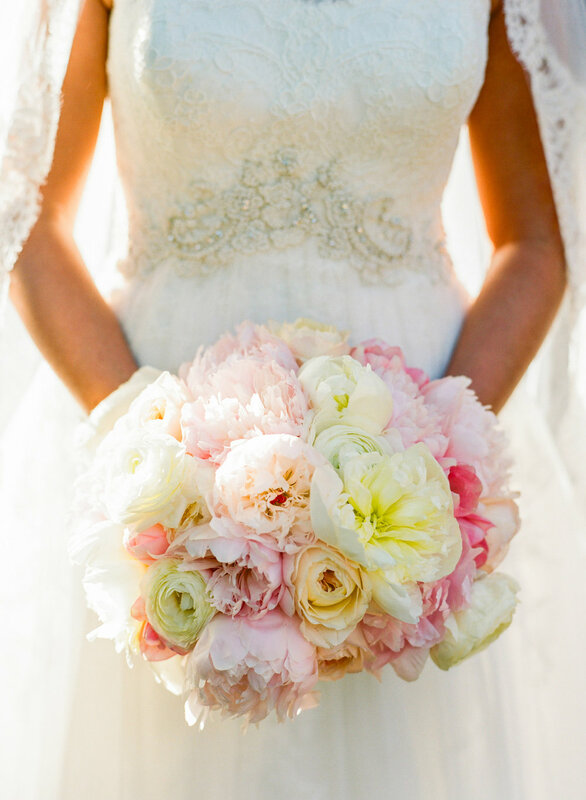 Angela's inspiration was everything floral, especially cherry blossoms. 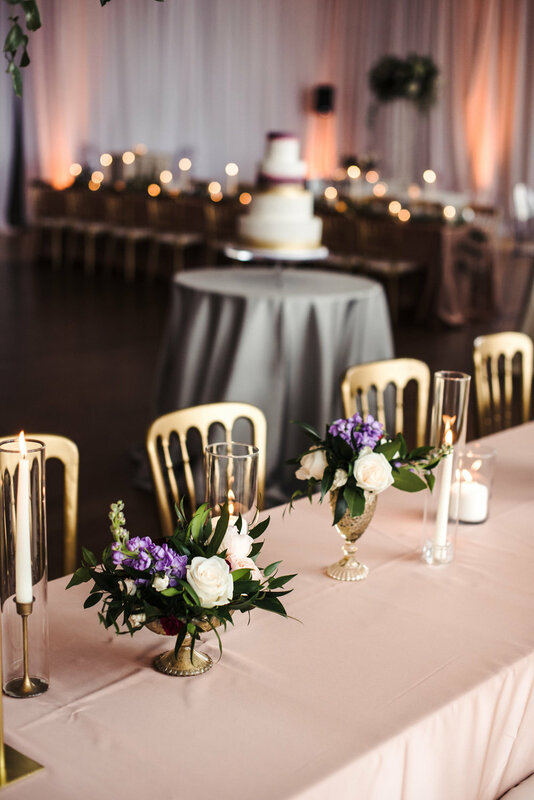 Beautiful blooming flowers in blush and ivory, with delicate details, made this stunning wedding absolutely eye-catching! 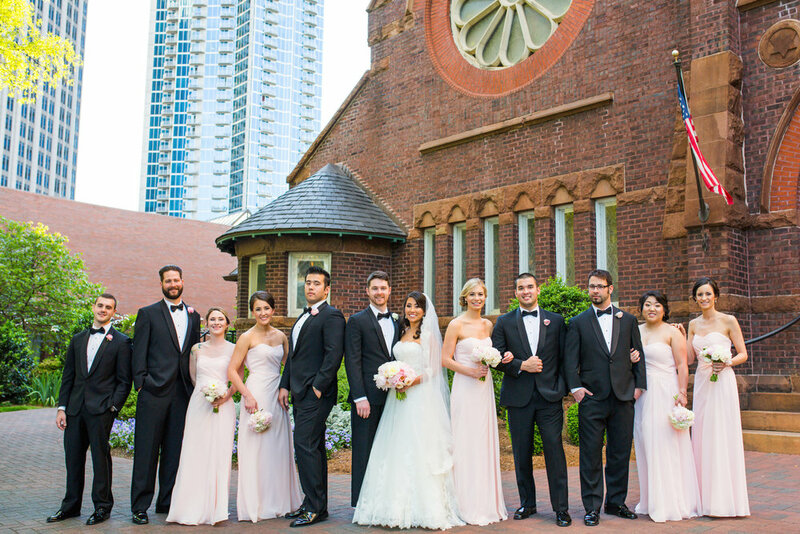 Following a church ceremony at St. Peter's Episcopal Church, guests headed to Foundation For The Carolinas where the celebration continued into the night. 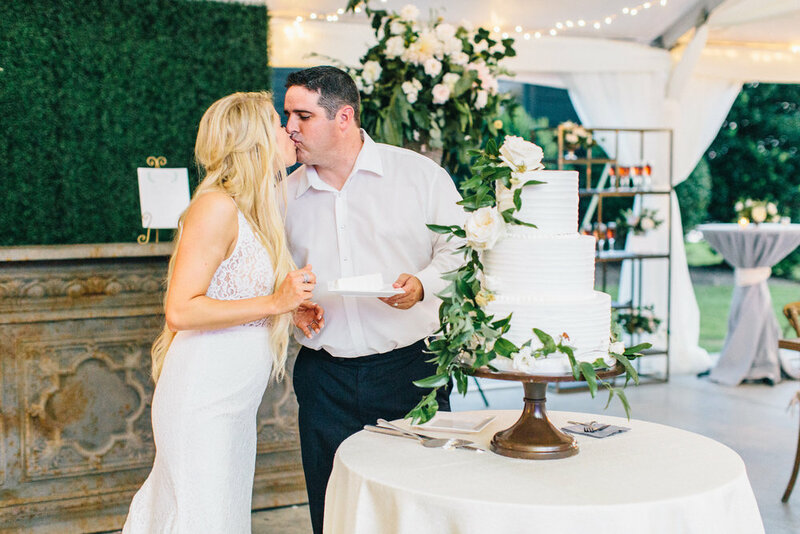 We loved working with this sweet couple and helping them create such a dreamy wedding celebration! 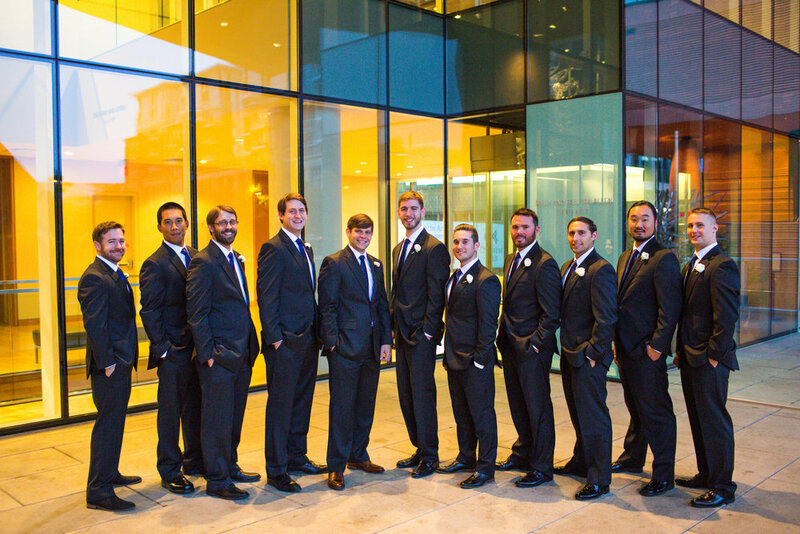 A very special thank you to our vendor team who helped make Angela + Charlie's wedding day perfect! 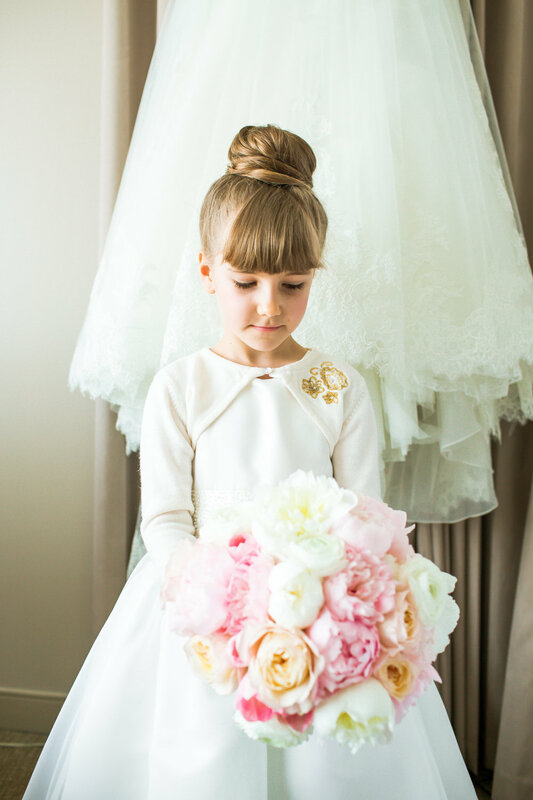 Angela + Charlie, it was such a pleasure working with you both and your families! 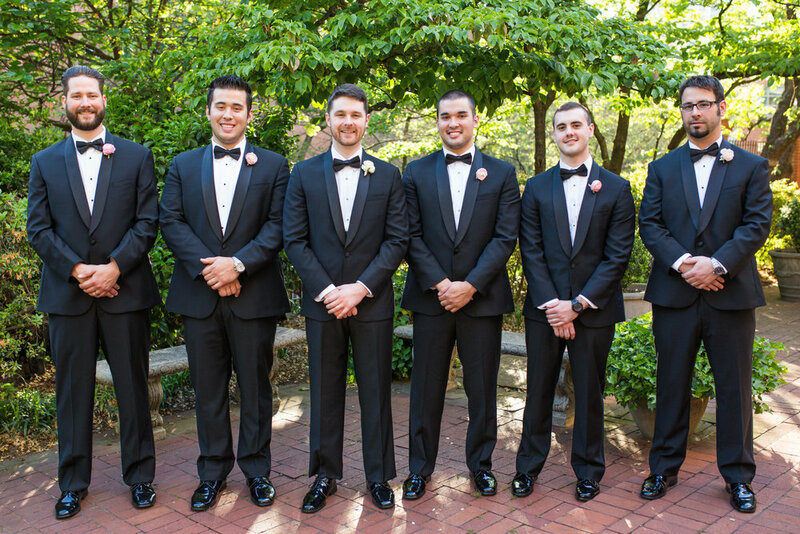 Thank you for allowing us to be a part of your big day. I absolutely adore this couple! Everything about them is #couplegoals. 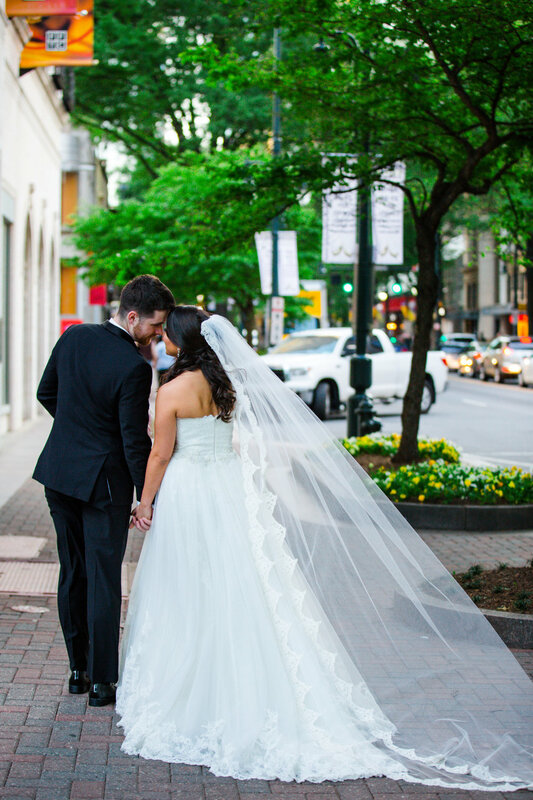 It was a rainy and windy Saturday when Brittani and Taylor said "I Do", and Charlotte, North Carolina was feeling the effects of Hurricane Joaquin. But our beautiful bride and dashing groom didn't let the unwelcome storm dampen their wedding day one bit! In fact, you can see how gusty the winds were in one of the photos where Brittani's veil flew right off! Just wait for it! 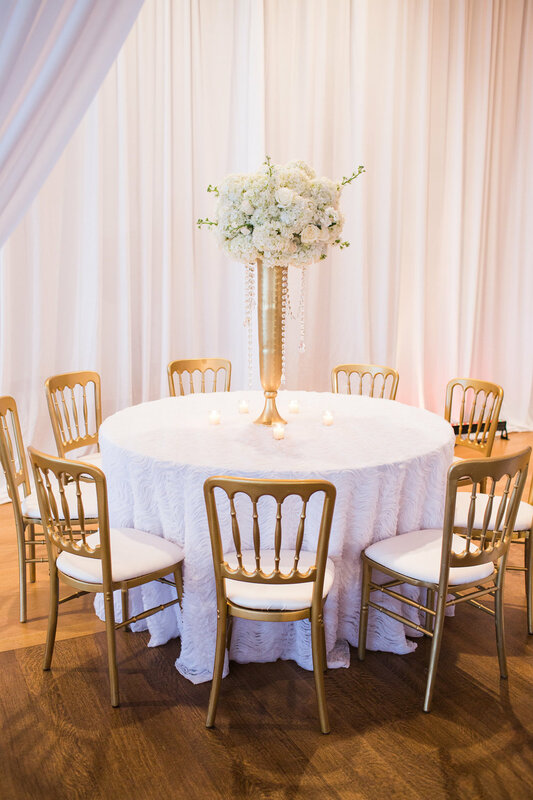 With classic and elegant style in mind, we used a neutral color palette of navy blue, cream and gold, with a few sparkly touches. 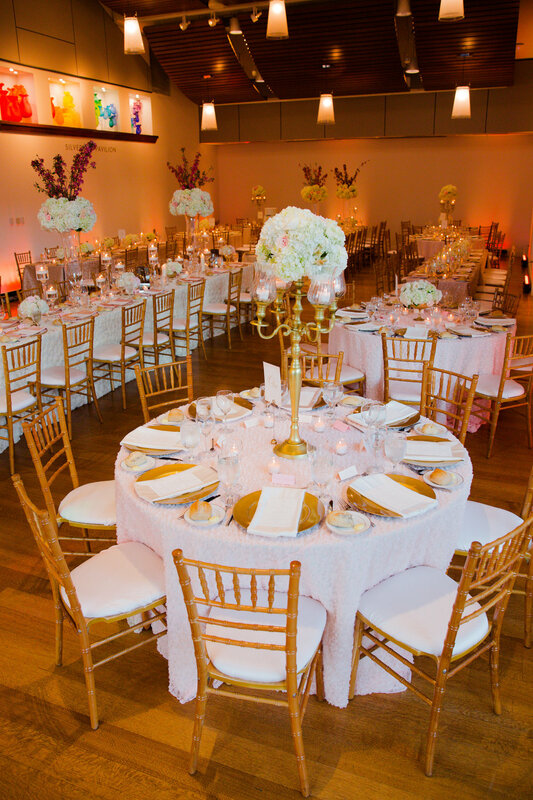 The soft details and clean lines were perfect for their modern venue, The Mint Museum Uptown. Brittani's style is effortless, and she wanted to create a day that reflected her personal style. 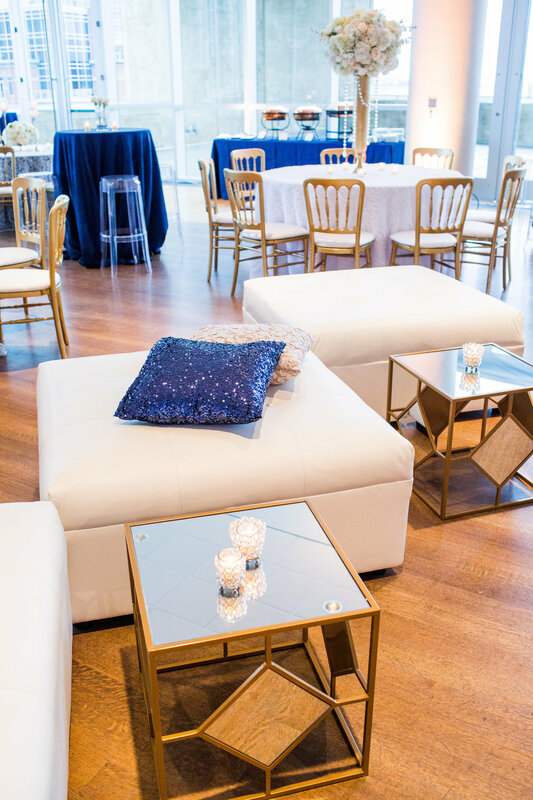 So we focused our design around the fun party atmosphere by adding in lounge furniture for alternative guest seating, where they could enjoy the heavy hors d'oeuvres menu and fabulous live band. 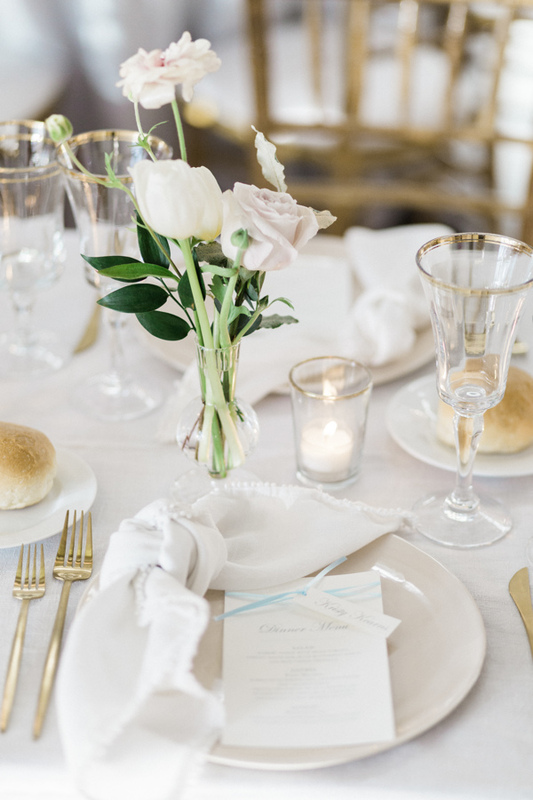 The caterer passed around late night snacks like grill cheese - a favorite of the bride and groom - and chicken fingers with fries as the guests partied into the night at one of Charlotte's premier venues. And with a grand streamer exit, the happy couple hopped into a pedicab at the end of the night. 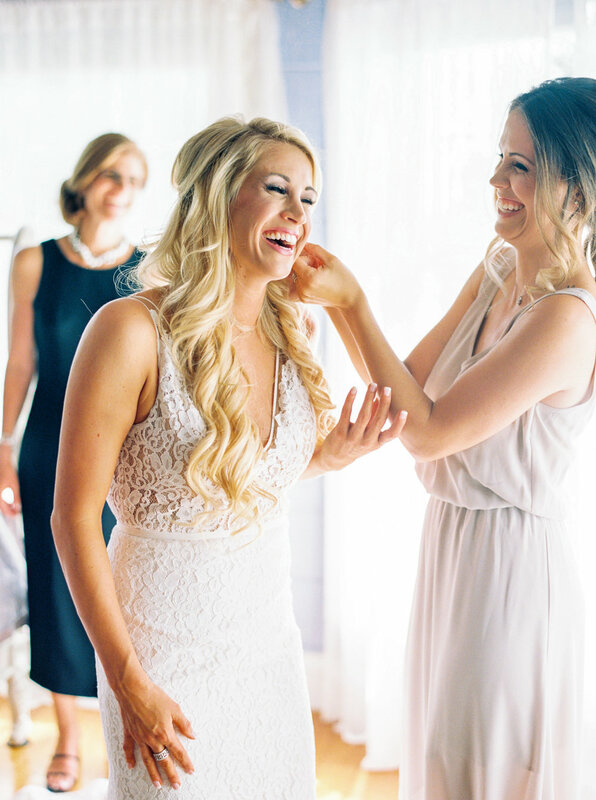 Thank you Borrowed & Blue for featuring Brittani and Taylor's wedding! See the full feature, here. Brittani and Taylor, thanks for letting The Graceful Host be a part of your beautiful celebration! 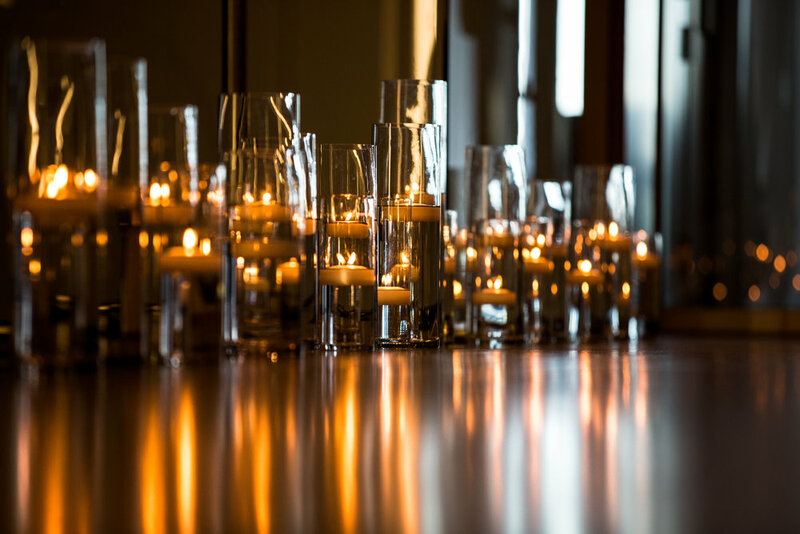 We absolutely loved working with you to plan for your wedding! Lots of love to you both! 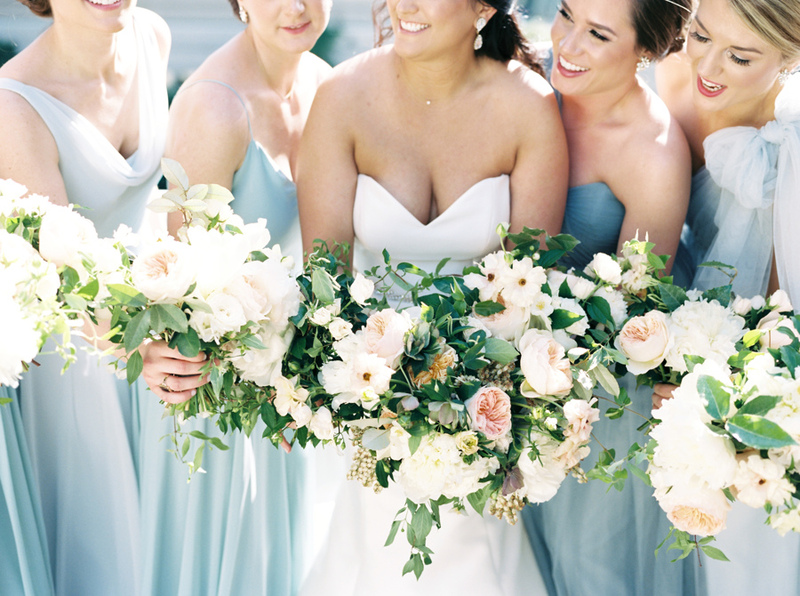 We are so excited and fortunate to see not one, but TWO of our clients featured in the recent issue of Carolina Bride! 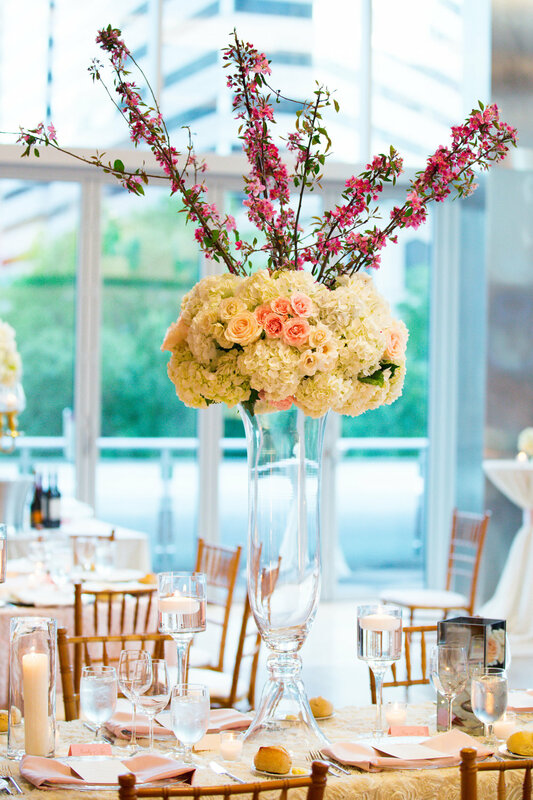 Melinda + Scott's colorful, artful wedding at the beautiful Mint Museum Uptown was one of my absolute favorites from 2015. The gorgeous four page spread is what dreams are made of! Our color palette was inspired by the beautiful painting in the ceremony location by California artist Sam Francis, Untitled (Seafirst) 1979. Melinda fell in love with the vibrancy of the colors and wanted to incorporate those tones throughout the design. The overall concept was modern structure meets delicate femininity. 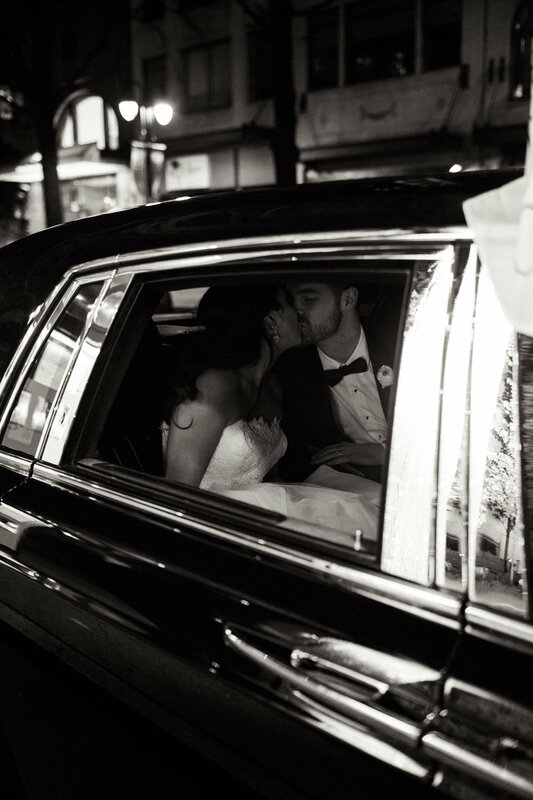 Melinda and Scott have such a beautiful love story, so we really wanted to embrace it and intertwine those details throughout their day. Starting with their romantic engagement on the iconic Love Lock Bridge - we used the actual key that Scott + Melinda used to "lock in their love" in Paris throughout their paper goods design by Pink Toast Ink. Photos by Capture Me Candid show both Melinda and Scott holding the key on their big day, too! 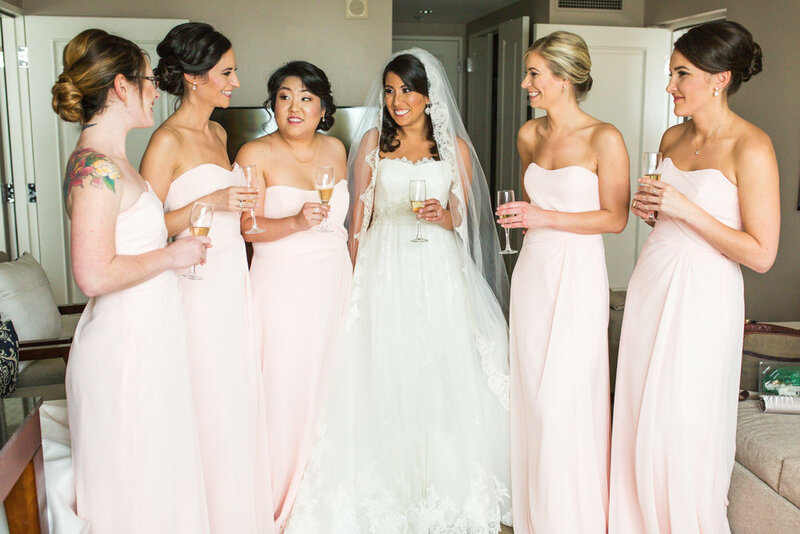 Melinda's dress was one of her favorite details. 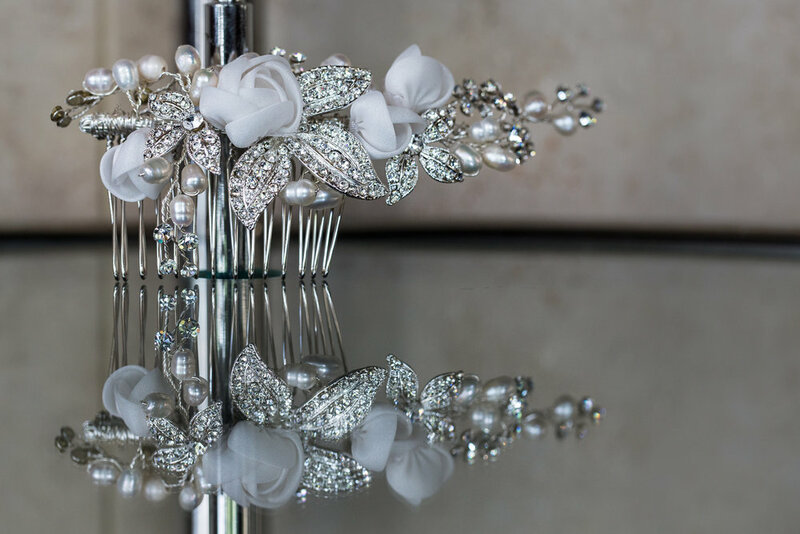 The intricate bead work of her Monique Lhuillier gown from Nitsa's Apparel was absolutely stunning, and served as inspiration for their wedding cake by the always delicious Wow Factor Cakes. Besides a menu full of delicious food from Best Impressions Caterers, they provided a few late night snacks to surprise guests. Nothing like sliders and maple bacon doughnuts to keep you dancing all night long to Sol Fusion, one of the hottest bands in the Southeast! If your wedding is going to take place in a museum surrounded by gorgeous art - why not have an artist paint on site! Their first dance was captured by very talented live artist, Ben Keys of Wed On Canvas based out of Charleston. 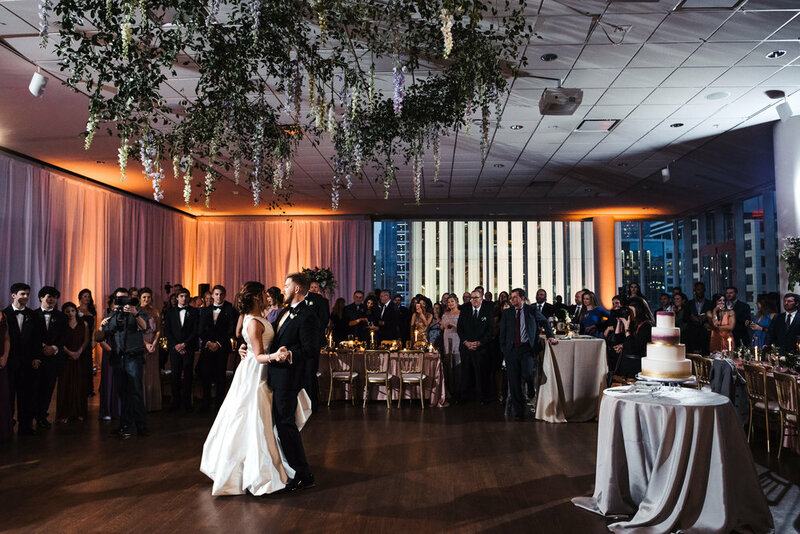 Scott + Melinda invited everyone to join in their first dance, and Ben beautifully captured the scene. Guests loved watching his progress throughout the night, too - he was a huge hit! It was such an honor to work with this amazing couple. Melinda + Scott are two of the nicest, most down to Earth - not to mention FUN! - people I've ever had the pleasure of knowing. Being a part of their wedding day was so wonderful! And our vendor team knocked it out of the park! 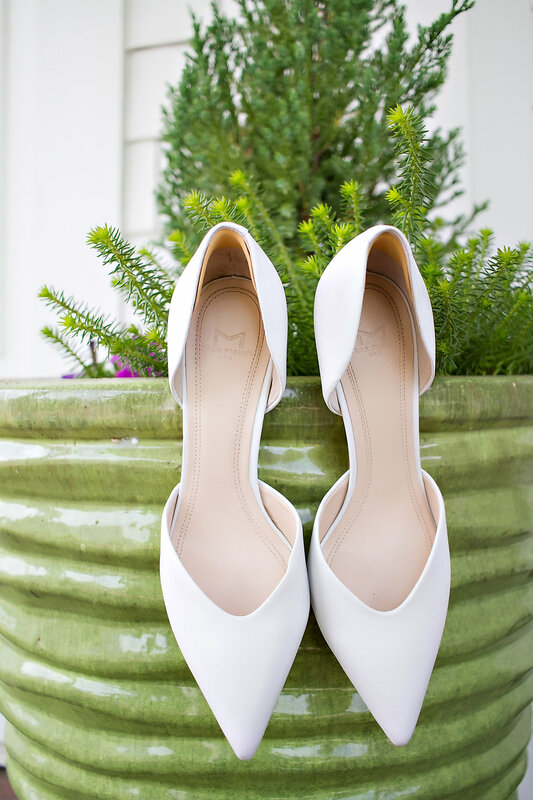 The details from this wedding will leave your head spinning - I'm so excited to share some of my favorite photos from their beautiful wedding day! Melinda + Scott were engaged on the famed love lock bridge in Paris, France. This is the actual key that they used to "lock in their love". And the key played a role in our inspiration for a good deal of our paper goods design. 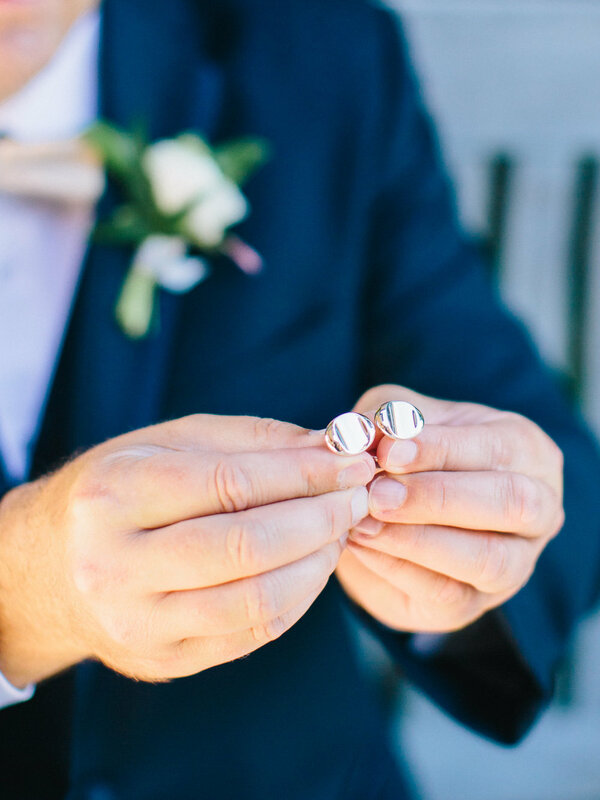 These cufflinks were a gift from Melinda to her groom and are a symbol of the key. 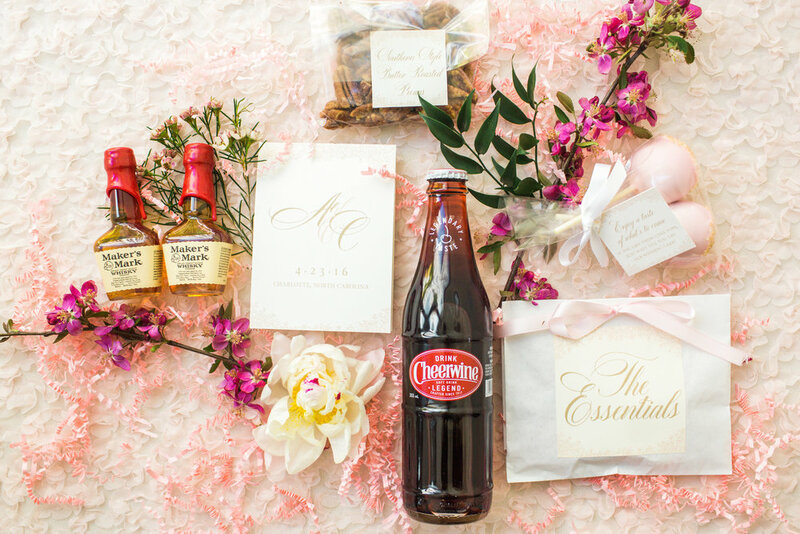 Did you know that we design and curate welcome boxes for our couples? I love it! Nothing says "guest experience" like an amazing welcome box/bag waiting for your guests, in their hotel room, upon arrival. 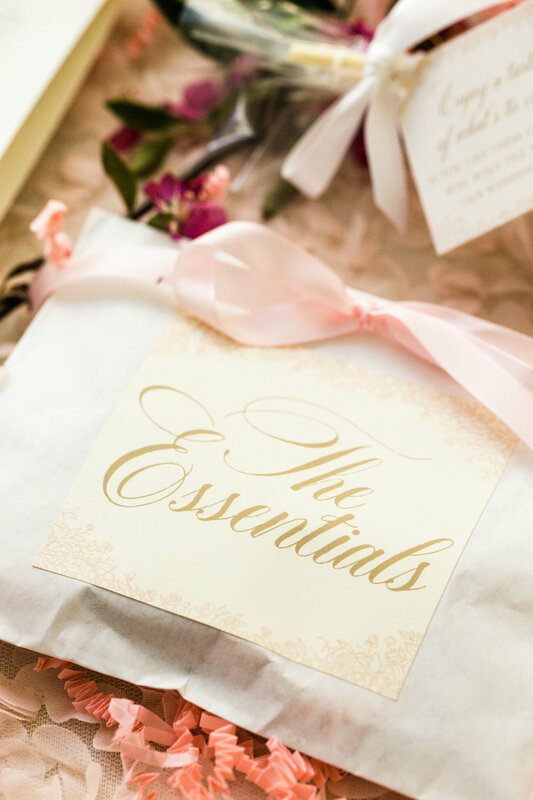 We help our couples fill their boxes with their favorites goodies - which was the case of Melinda + Scott - order/assemble everything AND deliver on your behalf. Melinda is our champagne girl, and Scott was our Jameson lover. 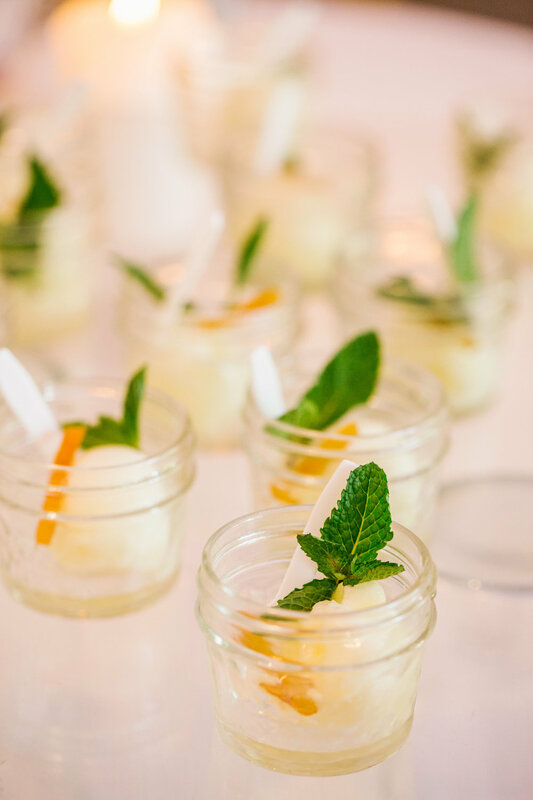 The sweets were favorites of our couple that they wanted to share with their guests. 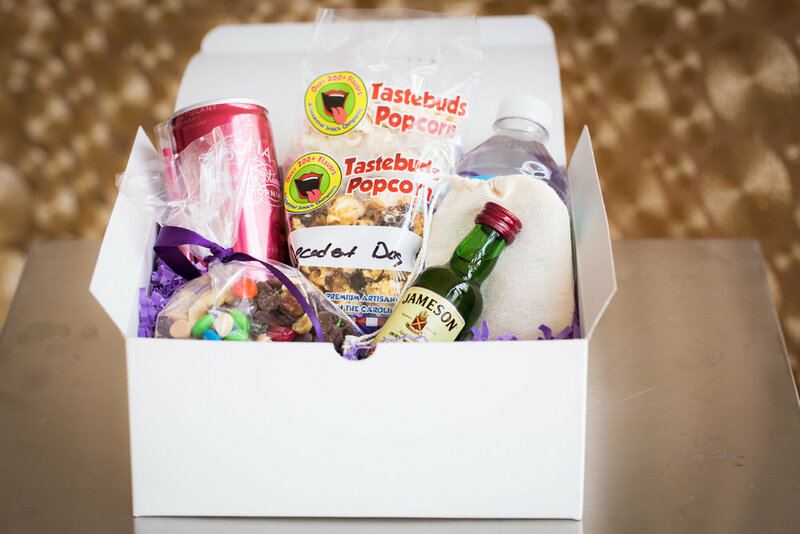 A welcome box is an easy way to welcome your loved ones to your wedding weekend! We loved this one! Being that this was a second wedding for both Melinda + Scott, they wanted to do something a little more non-traditional when it came to the ceremony procession. 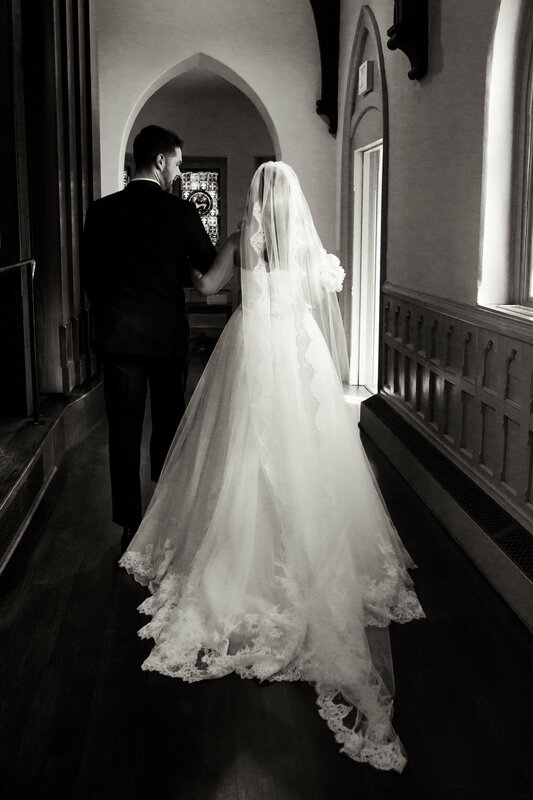 Melinda entered the ceremony space alone, and Scott walked to the end of the aisle and met her and escorted her up to the front. 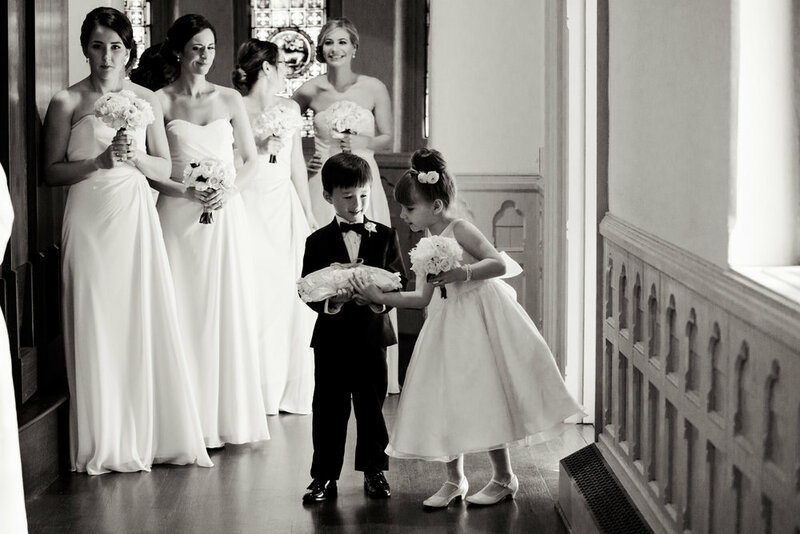 They wanted to walk down the aisle together, towards their future. The symbolism of this just gets me every time! I loved that they wanted to do something different!